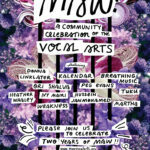 Description: MAW: A Community Celebration of the Vocal Arts is turning TWO! 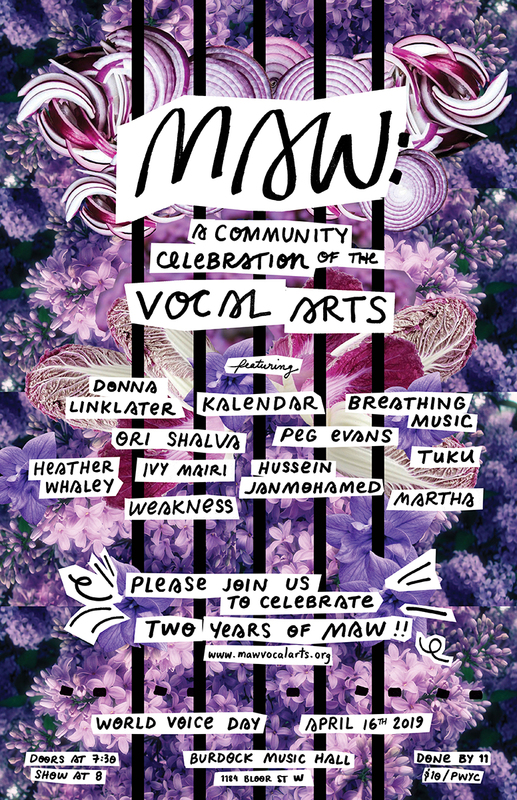 Come celebrate World Voice Day and our two-year anniversary at Burdock Music Hall on Tuesday, April 16th, 2019. MAW: A Community Celebration of the Vocal Arts is an immersive experience of voice in all its permutations. Often blurring the roles of audience and performer, MAW brings an array of vocalists together who might otherwise never see themselves as a community: storytellers, sound healers, choirs, and beat-boxers have graced our stage amongst sound poets, vocal improvisers, singer-songwriters, and more. We welcome all forms of diversity, and invite unique vocalizers to make our stage their home. On April 16th, 2019, we will experience Georgian and Ukranian polyphony, new and traditional folk songs from British, Irish, and Acadian lineage, breathing as music, songs about singing alone and mental health, an islamic prayer, and more. Come lend your voice and your whole listening body to this truly unique gathering of the vocal arts and the people who live them. Performer/s: Ori Shalva, Peg Evans, Donna Linklater, Kalendar, Ivy Mairi, Breathing Music, Tuku, Martha, Weakness, and Hussein Janmohamed.